It's been a whirlwind of vacation prep at our house as I get the bags packed for our week in Arizona with family. I'm recruiting all the prayers I can get for safety and sanity as we make our eight hour drive tomorrow with the girls. I finished up one final gift last night for the girls' adopted great grandmother, a book cover with handles. She's an avid reader and has a few of these covers already which are falling apart from overuse. Hopefully this will be a good replacement. I used Chairs in Grass for the exterior from Laurie Wisbrun's wonderful Tufted Tweets collection. The inside is a grey and white houndstooth from my local quilt shop. It's simple, modern, and bright -- just the way I hoped it would turn out. I can hardly wait to share more. Stay tuned, folks! Linking up to WIP Wednesday & the Let's Get Acquainted Link-up. My mother-in-law asked for earth tones in the fabric colors, so I pulled out my little stash of Echo by Lotta Jansdotter which I've been saving for something special. I also threw in an orange stripe from Lizzy House's recent Hello Pilgrim line, a wood grain fabric from Joel Dewberry's Aviary 2 collection, and a scrap of moon print by Heather Ross. The potholders are backed in Bloom from Melody Miller's Ruby Star Rising collection and bound in a natural colored linen blend. I love how large these potholders are. There's nothing worse than trying to get a grip on something in the oven and worrying that your fingers are going to overreach the cloth. In fact, they're so large that they can just as easily be used to hold hot plates on the table. My husband recommended that I ditch the pockets on the back this time, since they might be a bit cumbersome for his parents to use. I also added a loop at the top of the binding on the back so that these can be hung up on a hook, which is how we store all of our potholders here at home. Linking up to the Zakka Along, Tuesdays at the (Summer) Table, and Fabric Tuesday. 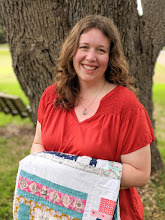 I'm so excited to be featured at Quilt Story today. One of my very favorite quilts, Mixed Signals, is in the spotlight. Stop by and check it out! So I had planned to make a pair of the hand warmers for this week's Zakka Style project. I even worked on a detailed embroidery idea for the front and started sewing. Then I suddenly thought, what am I doing? This is Southern California -- I live on the edge of a desert. Hand warmers just aren't going to get much use in this household. However... if you take one of these little rice pouches and place them in the freezer, you have an instant cold compress for bumps and bruises. And with three little girls in the house, we have constant high demand for that sort of product. Since they're going to be used primarily by my daughters, I decided to use prints from Michelle Brummer Everett's adorable Monsterz collection for Cloud 9. The girls are quite enamored of these little critters, and they'll make a good distraction when someone is crying over a new injury. To make certain that the rice will not somehow escape the fabric, even when handled by kids, I went ahead and sealed up both the inner and outer pouches. My edges are not the neatest -- I was in a bit of a hurry at the time and didn't take as much care as I should have with those curves -- but these are sturdy little packs. I think they're going to hold up well over time. I pulled them out of the freezer tonight after dinner, and they were an instant hit with the family. Everyone amused themselves with the "let's name that project" game. The top choices were "boo-boo buddies" and "ouchie pouchies." Call them what you like. I'm just glad to have them done and ready for the next minor emergency. Linking up to the Zakka Along. Just a quick finish to show today. Bunny finishes a week of Vacation Bible School this morning, and I put together this makeup bag last night as a gift for her teacher. I used one of my favorite Anna Maria Horner Lou Lou Thi prints for the outside, and a Denyse Schmidt print for the lining. I picked up a few inexpensive goodies at Target (does anyone else love the E.L.F. makeup line as much as I do?) to fill the inside. My husband helped Bunny pick a bouquet of flowers from the garden to go along with it. I love the size of this bag and may have to make another one for myself. Isn't that the way it always is? Linking up to Sew & Tell Friday and Confessions of a Fabric Addict. In preparation for our family vacation next week, I've been working to finish several bags that I'd like to use on our trip. It's been a lot of fun to create items for our getaway, and I know I'll enjoy using them. For my summer purse, I purchased a pattern from Charlie's Aunt on Etsy. If you've never seen Emma Brennan's delightful patterns before, you must stop by. All of her bags are based on vintage styles from the 1930's and 1940's -- very possibly my favorite historical time period. I chose her Melford Messenger Bag since it looked roomy enough to hold all my things and included a shoulder strap. The pattern was fantastic...well written, clear, and easy to follow. I love the drawings that accompany each step in the process and her hand drawn pattern pieces as well. This is a purse that I will definitely be making again. The bag is very sturdy, made with fusible interfacing, sew-in interfacing, and a layer of batting on the body. For my fabrics, I used a yard of Melody Miller's viewfinder reels in pastel shades along with some grey linen on the outside pocket and Kona Coal for the lining. I already gave bag a test drive when I went out yesterday, and I was surprised both at how light the bag was and how much I could fit into it. For a quick project last night, I whipped out a cosmetics bag using part of one of Melody Miller's Ruby Star Shining panels and a little of Denyse Schmidt's Hope Valley on the inside. I love that silhouette of the lady on the front...so fitting for a makeup bag, I thought. I structured the bag with fusible batting on the lining pieces, but if I had to do it over again, I probably would have used interfacing on the exterior pieces as well. I also had some strange little pleats appearing around the edges of the zipper. Not really sure how that happened, but we'll chalk it up to the fact that I haven't been getting much sleep lately since my girls have been getting me up every other hour during the night for the past week. Toss in my Zakka Organizer which I'm now using as my wallet, and I'm ready to hit the road! 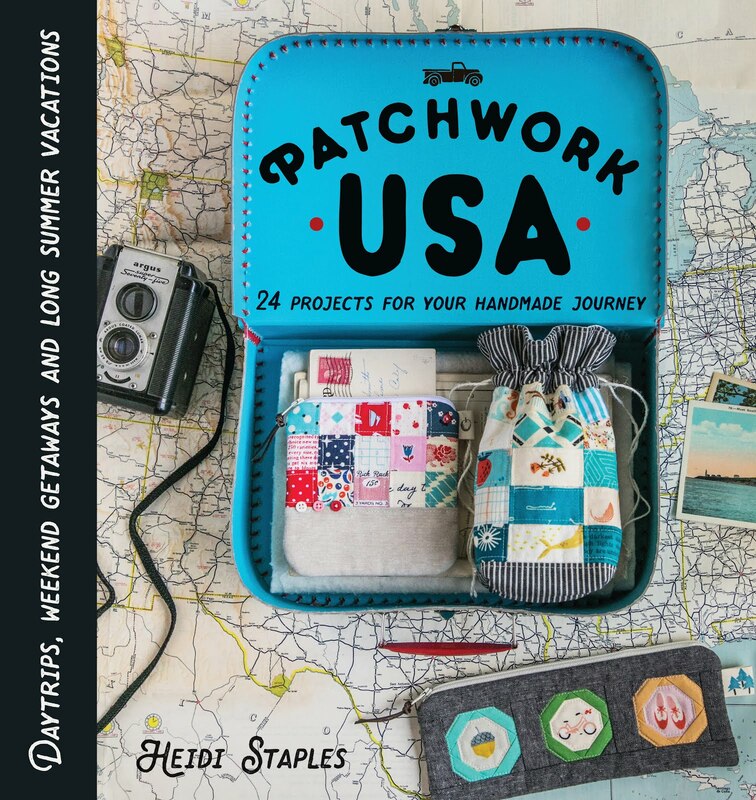 I just saw the nominations for finalists in the Summer Sewing Series at Ellision Lane Quilts, and I was beyond thrilled to see my Navigator's Clutch among them in the Bags and Accessories Category. This marks the first time I've ever made it to the finalist round in any contest I've entered since I started sewing. It's almost as nice as winning.